BandIT Tennis Elbow Support Brace from HealthyKin.com is the only medically designed device which works with the human anatomy to aid in the relief of Carpal Tunnel Syndrome and Tennis Elbow pain without cutting off circulation, hampering movement or causing uncomfortable swelling. The BandIT utilizes Anatomically Focused Dynamic Compression to turn the natural action of the forearm into a natural pump. 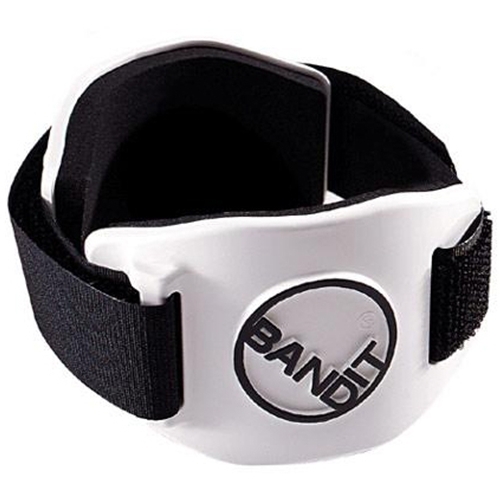 Unlike other bands which create a tourniquet effect and can cause uncomfortable tissue swelling, the BandIT allows normal circulation (blood flow) and, unlike most competitive products, may be worn for long periods of time with complete comfort. It is simple to apply and it works in a completely new and unique manner. It is highly effective in relieving pain commonly associated with Carpal Tunnel Syndrome and Tendonitis. It is a superior aid for tennis, golf, weightlifting, bowling, racquetball and activities such as the use of keyboards, which result in RSIs. It stimulates the body's natural healing process by increasing blood flow and oxygen, by reducing inflammation and muscle spasm and by producing a subtle warmth at the painful site. I have purchased many of these and recommend them all the time.